We are pleased to announce that Dr. Aubrey Tingle, Professor Emeritus, Department of Pediatrics has been awarded the 2014 Order of British Columbia. Dr. Tingle, a world-renowned researcher in pediatric immunology and viral infections at BC Children’s Hospital has, over the past 20 years, transformed health research in British Columbia. His accomplishments include leadership in the creation of the Michael Smith Foundation for Health Research (MSFHR). He was founding Chair of the Coalition for Health Research in BC, an ad hoc group of research stakeholders responsible for planning and obtaining the provincial funding to establish the MSFHR, which he led as its inaugural CEO beginning March 2001, for most of its first decade. Dr. Tingle also founded, led and grew the now called Child and Family Research Institute (CFRI). The mission of the Michael Smith Foundation for Health Research is to lead, partner and serve as a catalyst to build British Columbia’s capacity for excellence in clinical, biomedical, health services and population health research. The Foundation works to create a vibrant and sustainable British Columbian health research environment that is recognized for excellence and has the human resources, infrastructure and research space to compete effectively for national and international funding across all sectors; anticipates and responds to BC health needs; and builds the BC economy. The MSFHR was extremely successful in achieving these objectives under the leadership of Dr. Tingle. 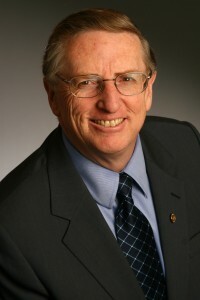 Dr. Tingle is a founding member of the National Alliance of Provincial Health Research Organizations (NAPHRO) and was Co-Chair from 2004 to 2006. He also served as a member of the Boards to the NCE in Stroke Research and the NCE in Allergy Research (AllerGen). Dr. Tingle will be formally introduced into the Order of British Columbia at a special ceremony in Victoria on November 6, 2014.